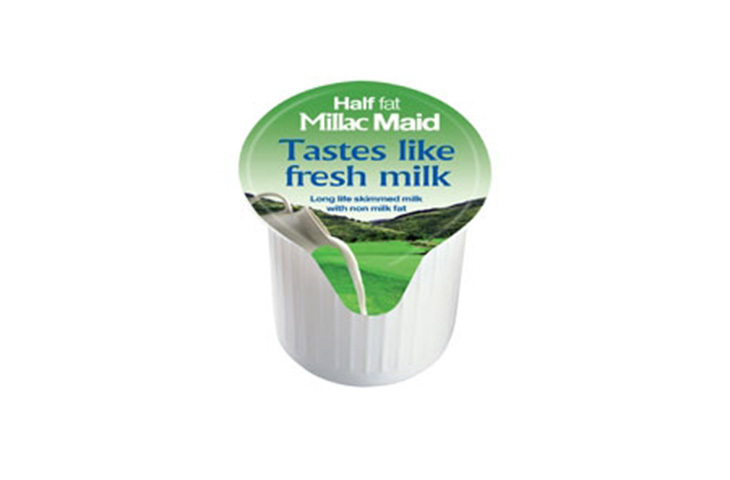 The Millac Maid milk pot tastes just like fresh milk, with half as much fat as whole milk and a long shelf life. The pots allow portion control so there is no wastage and they are hygienic and clean. It is convenient and simple – grab and go, peel and pour! Available in cases of 120 and 240 pots. For more information on our milk pots and for pricing details please use our contact form.